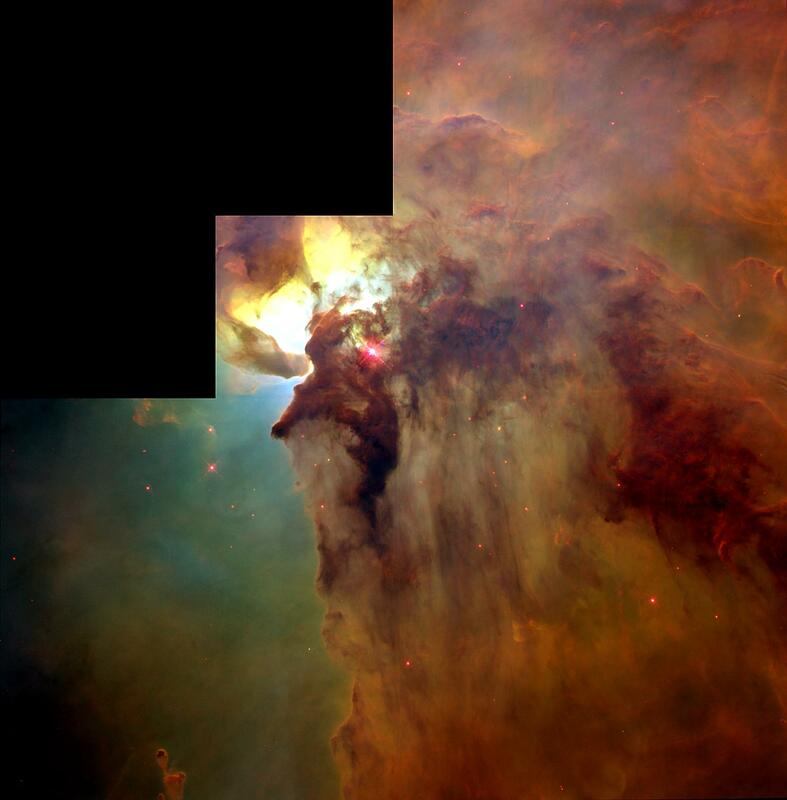 Explanation: The center of the Lagoon Nebula is a whirlwind of spectacular star formation. Visible on the upper left, at least two long funnel-shaped clouds, each roughly half a light-year long, have been formed by extreme stellar winds and intense energetic starlight. The tremendously bright nearby star, Hershel 36, lights the area. Vast walls of dust hide and redden other hot young stars. As energy from these stars pours into the cool dust and gas, large temperature differences in adjoining regions can be created generating shearing winds which may cause the funnels. This picture, spanning about 5 light years, was taken in 1995 by the orbiting Hubble Space Telescope. The Lagoon Nebula, also known as M8, lies about 5000 light years distant toward the constellation of Sagittarius.